I’m learning to use new software and new tools along with those honed for a while now, and the new crop this year includes Inkscape design software that is a lot like Illustrator but lots of CAD stuff in there I’m not familiar with yet. Combined with the software that runs the 80 watt laser cutting machine, I have now successfully cobbled up some shapes into templates that I cut out of matt board as a test run. 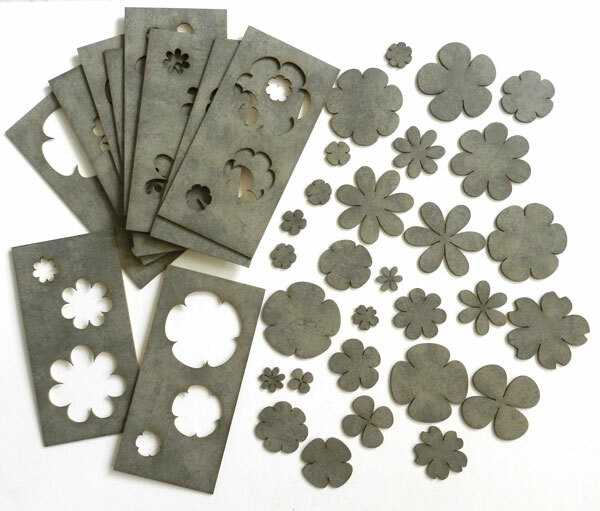 These templates will help me cut out flowers in metal. AND I can now cut my designs out of paper, matt board, leather, acrylic and wood, among other stuff. 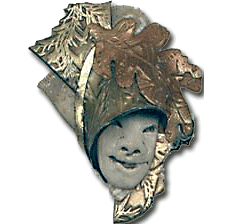 This cutting edge tool opens up a whole new world of possibilities for me, design and display-wise, so do check back soon to see what becomes of it all!